Welcome to another day in the NBA. Yesterday, we had 9 big games to watch and there are 6 games to look forward to tomorrow night. Let's analyse some of the meaningful performances from the last night, results of the matches and the top players to look out for in the matches tomorrow. 1. Joel Embiid (Philadelphia 76ers): 33 points, 11-21 FG, 12 rebounds, 2 steals and 2 TOs. 2. Devin Booker (Phoenix Suns): 37 points, 13-23 FG, 8 rebounds, 11 assists, 2 steals and 5 TOs. 1. DeAndre Jordan (New York Knicks): 2 points, 1-8 FG, 5 rebounds, 2 assists and 1 block. 2. Tim Hardaway Jr (Dallas Mavericks): 9 points, 3-11 FG, 2 assists, 1 rebound, 1 steal and 1 TO. 1. The Detroit Pistons continued their run into the playoff spots with a 131-108 win over the Chicago Bulls. The Philadelphia 76ers welcomed Joel Embiid back to the lineup and won a crucial game against the Indiana Pacers, 106-89. The Miami Heat lost steam in the playoff race with a 104-125 loss against the Toronto Raptors. 2. The Atlanta Hawks won an inconsequential tie against the New Orleans Pelicans, 128-116. The Orlando Magic lost another game, making the playoff race harder for themselves, losing 97-105 to the Memphis Grizzlies. The Houston Rockets won their 8th game in a row, winning 94-93 against the Dallas Mavericks. 3. San Antonio Spurs won a huge game against the Milwaukee Bucks, 121-114, moving another step towards cementing their playoff spot. The Minnesota Timberwolves lacked Karl Anthony-Towns but managed to win their game against the New York Knicks, 103-92. The Phoenix Suns won a surprise game against the conference leaders Golden State Warriors, 115-111. Russell Westbrook is probably one of the best fantasy basketball players. He is always in the hunt for a triple double and tomorrow's game against the Utah Jazz will need his best foot forward. 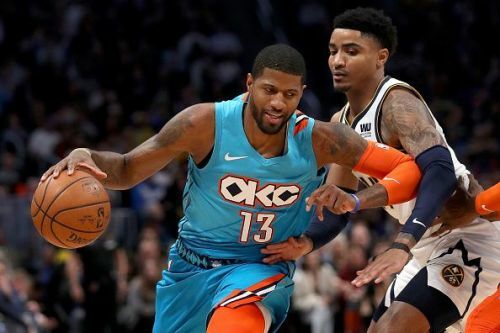 He has been playing really good basketball this season and has been very accommodating, allowing Paul George to flourish alongside him. He is averaging 23.1 points per game, along with 10.5 assist per game, 11.1 rebounds per game and has been a robust defender, averaging 2 steals a game as well. 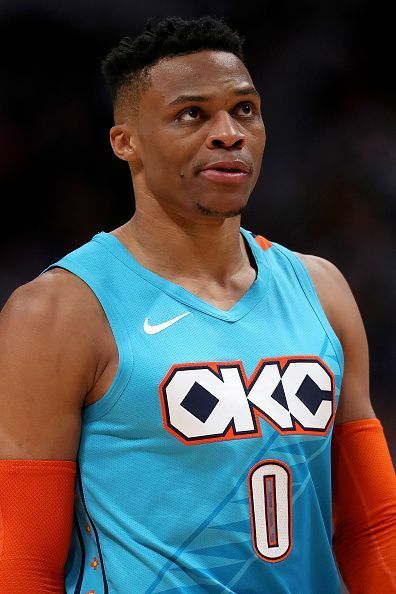 In his last game, Westbrook scored 32 points in just 32 minutes, dishing out 7 assists, along with 8 rebounds and managing to get a block too. His only drawback is the bad shooting percentages and the high turnovers but they need him at his best against the Jazz tomorrow.